New England’s second largest city has its first community “media station”, a term coined by Talkers Magazine. 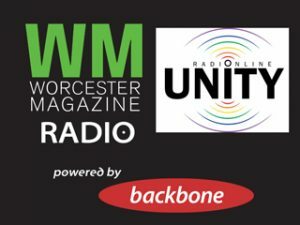 Worcester Magazine, the city’s alternative newsweekly, has teamed with Unity Radio, a community-focused online and low-power FM (LPFM) radio station, to create “ a joint venture unlike anything else in the Worcester media landscape”. The station’s technology, unlike traditional stations resides in “the cloud”, virtualized — without physical hardware, bricks or mortar. The new media enterprise, which is based on all the elements of Backbone’s Production Suite™, was “soft-launched” during the city’s municipal elections November 7. The station intends to draw upon the resources of both WoMag and Unity’s non-profit parent, Pride Productions, as well as popular, local talk radio talents, like veteran morning host and news director Hank Stolz. 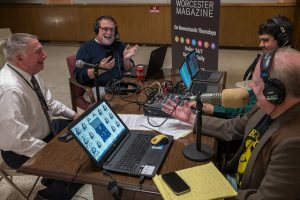 During election night, Unity Radio set up operations in Worcester City Hall awaiting ballot counts, where they interviewed candidates (using Backbone Producer™), took listener phone calls (Backbone Talk™), and aired studio-quality remotes from reporters with smartphones around the city (Backbone Co-Host™ with LUCI™ Global). The live production was streamed online (Backbone Radio™) and fed through a low-latency IP connection (Backbone Syndicate™) from the cloud to Unity’s new LPFM transmitter located several miles away.